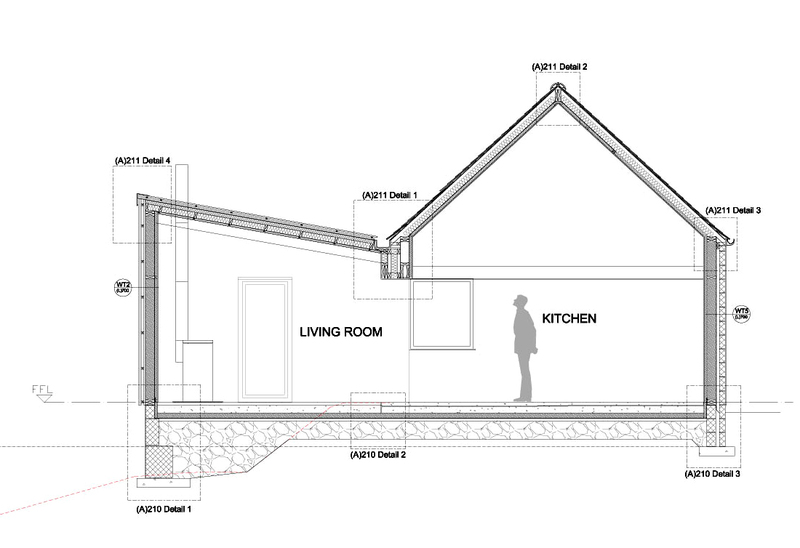 The Client’s brief was to extend an existing 1 bedroom croft house to form a 3 bedroom house with a new living room, kitchen and bathroom. The house is situated close to the shore in Grimsay, however it currently has limited views of the sea and little natural light. 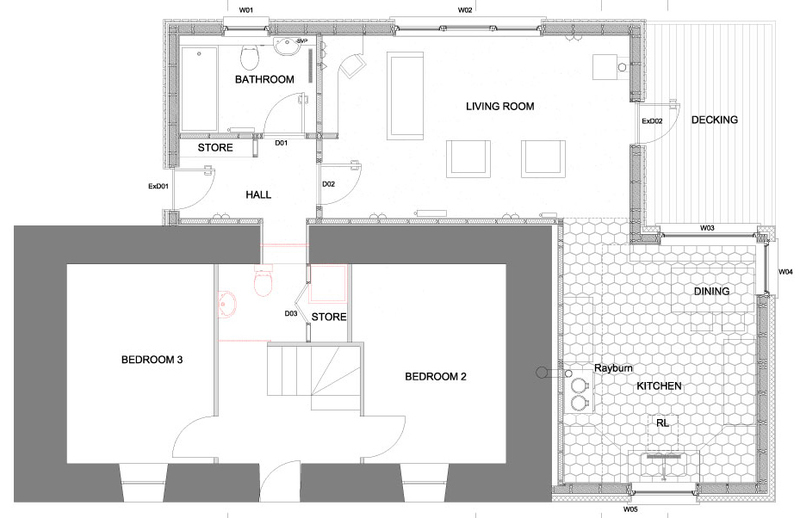 The new extension has been designed to take in the views to the shore and create a new open plan living space whist converting the existing kitchen and living room into 2 new bedrooms. The Client has sourced Barcelona Gaudi paving tiles for the kitchen floor and a contemporary birch plywood wall lining and a polished concrete floor has been specified for the living room area. 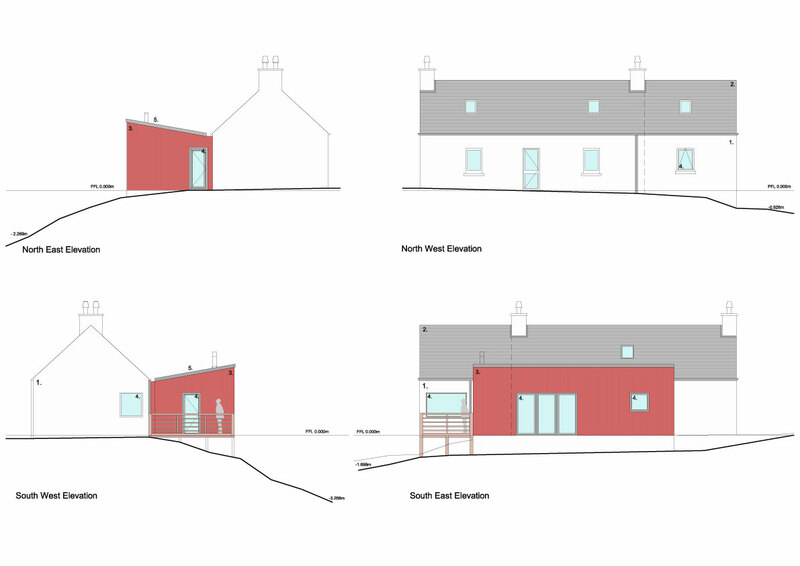 The timber clad exterior will be painted in a red ochre colour to contrast with the existing white croft house.